She thought that dating a good-looking cop would be exciting and involve lots of riding around in cruisers and putting away sleazy crooks. So why hasn’t NYPD officer Bobby Crawford ever invited English professor Alison on any high-speed car chases or stakeouts? 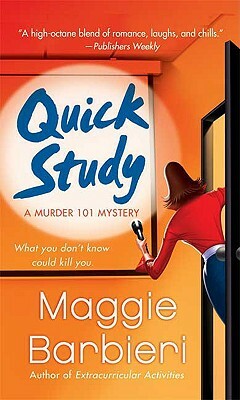 Maggie Barbieri, author of the Murder 101 series, is a freelance textbook editor as well as a mystery novelist. Her father was a member of the New York Police Department, and his stories provide much of the background for her mysteries. This is her third novel. She lives in Westchester County, New York.